Most of the spiritual people I know all share certain characteristics in common—they’re broke, have relationship issues, and/or suffer with a host of health problems. Does God punish those He loves the most? Is this some kind of Jesus/Job suffering archetype? Does no good deed go unpunished? Are spiritual people given a tougher path because they are strong enough to handle it? Any of these could be true. But a few concepts have come my way recently that have got me thinking differently about the cause of spiritual suffering. Back in the autumn of last year, I received a newsletter email from spiritual healer Dave Markowitz that I found intriguing. In it, Markowitz wrote that he questioned the concept of “maya” which is a Hindu term for the holographic/illusionary world concept. (Those of you who read my blogs know that it’s a concept I happen to subscribe to.) Seeing how so many spiritual people are ill, Markowitz wrote that he’s come to see how this illusionary-world view is, in fact, selective denial that has hindered our growth, health, and happiness. He then goes on to quote from Indian mystic and guru Osho. The passage cited how the material world is condemned by the East—explaining why they are poor and sick—and how the other half of humanity denies the spirit in favor of the material, explaining their superficiality. His conclusion is that both populations are only half, and that to be a holy person you have to be a whole person—someone who is rich in the material and spiritual worlds. These points make a lot of sense to me. 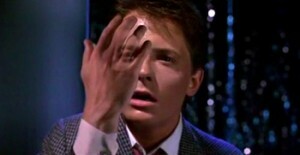 If you believe the world is an illusion, then much like Marty McFly in Back To The Future you start to lose your grip on physical reality and fade away. The symptoms of this are lack of material world elements—money, health (matters of the body), emotions, and pleasures of the five senses. On the other hand, if you only seek the physical and material joys of the world, then you are focusing your energy on temporary, superficial pleasures that do not bring lasting fulfillment. This leaves us with a conundrum. If the world is indeed illusionary, but we need to embrace it for our physical health and pleasure, how do we do that without giving up higher levels of enlightenment that come when we embrace our spiritual-selves? The answer is simple: we embrace both. If you believe that we are here for a reason and, real or not, the world has much to offer us in spiritual and materialistic experiences, then you are embracing the unseen faith-filled elements of life and everything in it that matters. The funny thing is, like many of us, I’ve known all this already. It’s kabbalah 101—the idea that we must not ignore the physical world but elevate it. Raise the sparks so to speak. And yet, somewhere along the way, I began to focus more on the spirit than the matters of the physical. And so, I’ve found myself preaching to the converted and not connecting with those who’ve needed to hear these messages the most—those entrenched in the material world. Shortly after receiving this gentle reminder from Mr. Markowitz, I began receiving messages about the very same topic from one of my favorite spiritual writers Rabbi Simon Jacobson, whose emails I subscribe to. Jacobson pointed out how Genesis begins with, “In the beginning, G-d created the heavens and the earth.” So God created both spirit and matter, which means that He is neither. Jacobson argues that the goal is not necessarily a spiritual life, but a holy life. Spirituality can be egocentric, but holiness demands humility. Spirituality can be completely meditative, but holiness requires action in this world in order to transform it. Much like the takeaway from Markowitz’s email, Jacobson also makes the point that the goal is to fuse spirituality and materialism. Obviously, this was a message I needed to hear. A third confirmation of this message came in a format that is the most typical for me—media stories. Last year, I had been watching the TV series Touch, which is about a motherless child with special powers who feels compelled to connect with various strangers to help solve their problems. 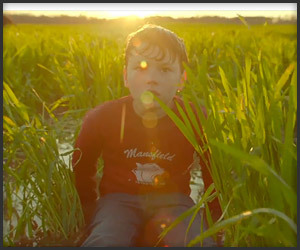 The child, Jake (aka Jacob, one who wrestles with angels, i.e., uses physicality to manipulate the spiritual) is helped by his fugitive dad who is protecting him from an evil corporation that seeks to use the kid’s powers for their own selfish gains. Helping the father-child team is a hidden mastermind skilled in knowing what the child must do to save the world—Avram, a Chassidic Jew. The father and child are constantly on the run, avoiding authorities that, at any time, can capture them and bring their journey to an end, all in the name of upholding the law. One of the messages I took from the show is that while we are on our path—where we look out for our own self-interests—we should also reach out to help others. In doing so, we’ll help raise the sparks of the material world, making them whole, or holy. The show was canceled last year after only two seasons. I’ve always wondered what the universe does when its message hasn’t been fully realized. Apparently, it finds another vehicle to channel its message to the masses. 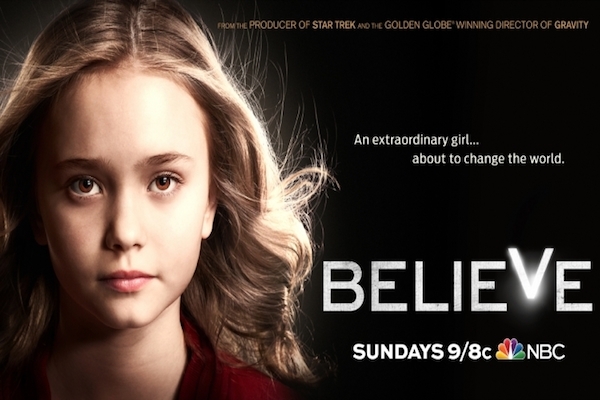 That new vehicle for the message came in the form of the appropriately named new TV series, Believe. I’ve seen similar messages come in different stories before, but Touch and Believe are almost the exact same show. Much like Touch, Believe is about a motherless child with special powers who feels compelled to connect with various strangers to help solve their problems. The child, Bo (meaning, commanding or, sounding like “bow” which can neatly tie things together or amplify the velocity of an arrow, i.e., energy) is helped by her fugitive dad who is protecting her from an evil corporation that seeks to use the kid’s powers for their own selfish gains. Helping the father-child team is a hidden mastermind skilled in knowing what the child must do to save the world—Winter, a mind specialist. The father and child are constantly on the run, avoiding authorities that, at any time, can capture them and bring their journey to an end, all in the name of upholding the law. 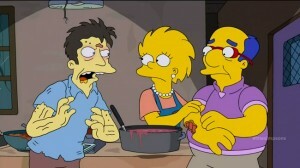 Even more fascinating than the similarities of the two shows, is who their creators are. Touch is the brainchild of Tim Kring and Believe is from J. J. Abrams. It’s become obvious to me that modern-day shamans JJ and Kring are both tapped into the same mythological frequency, explaining why they both keep coming up with shows that offer the same mythological messages. JJ’s Lost focused on how flawed characters guided by special powers can tap into their hidden strengths to overcome their flaws and help one another uncover their destiny and save the world. Kring’s Heroes focused on how flawed characters guided by special powers can tap into their hidden strengths to overcome their flaws and help one another uncover their destiny and save the world. You would think that two shamans so clearly on the same wavelength would join forces to create an über-message that could truly change the world. 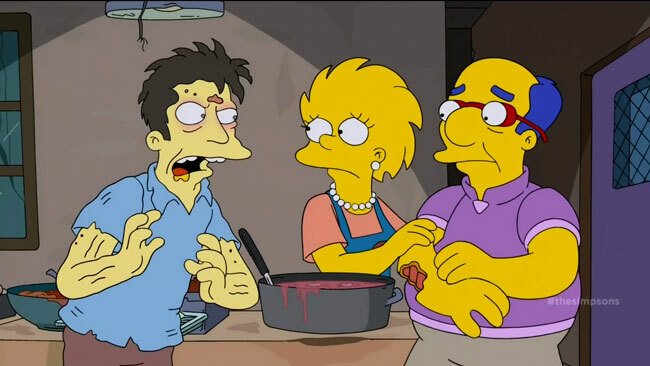 And yet, both continually deny the similarities of their works. In fact, J.J. recently denied any similarity between his Believe and Kring’s Touch. Regardless, I believe that Believe will suffer a similar fate and not make it to its final episode. But not to worry, some other writer/shaman will surely pick up wherever the story leaves off, providing the necessary subliminal guidance we need to help us navigate our lives toward a harmonious destiny. 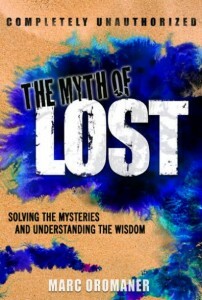 For those of us who don’t need mythology to disguise the soul of a story, the message is clear. We are now at a time when we are all ready to “spiritualize the material” as Jacobson says. The material is tangible but temporary. The spirit is intangible but eternal. So by connecting our material lives to the larger spiritual world, we eternalize it. What are some ways we can do this? Jacobson suggests two: blessings and charity. Making a blessing before meals connects us to a feeling of gratefulness that creates more for us to be grateful for. It also charges the food with a refining energy that helps to elevate it, thereby elevating us when we eat it. Charity transforms the material aspect of money into the spiritual element of sharing. It combines both elements of our existence to create a greater good. Putting a charity box on your desk at work is especially effective since it serves as a reminder amongst all the materialism that other things are more important. There are other ways as well. Praying in general is always good, but so much more so while we’re in the clutches of the material realm—stuck in traffic, commuting on the train, waiting in line at the bank, watching TV. I believe that the prayers that come out of moments like these can be even more powerful than those given in religious settings where such prayers are usually recited by rote. By breaking free from the trappings of the habitual, materialistic aspects of life, you have exercised your ability to stay elevated in spite of the gravity of physical world challenges. This is also one of the many benefits of yoga. By staying calm and balanced when your body is convoluted and strained to its limits, you are more able to do so when life throws similar hardships your way. As with yoga, just remember to keep a steady breath and you’ll be more able to connect to your mastery of these difficulties. I call it the “wax on, wax off” approach—you don’t even realize that what you’ve been learning will help you with your real-world life challenges. One of the simplest ways to spiritualize the material, is to sing. That’s right—music is the language of the soul. Its combination of harmonious frequencies resonates with the energy around us, transforming it into a higher level. And I’d say that this is the case, even if your singing isn’t particularly harmonious. More important is to sing uplifting, soulful, positive songs, as opposed to, say anything by The Smiths or Pink Floyd. Perhaps the greatest way to spiritualize the material is to continually overcome the need to just survive and to do something for the greater good. Most of us get stuck in repetitive lifestyles that require us to slave away just to provide for ourselves and our families. We’ve been reduced to zombies, brainlessly chasing after a fulfillment that never comes. Perhaps this is the reason for the proliferation of so much zombie mythology lately—everything from the hit TV series, The Walking Dead, to the recent hit movie World War Z and last Sunday’s episode of The Simpsons. There’s also the hit TV show I jokingly refer to as The Zombie Soap Opera, better known as Resurrection. Instead of eating brains, these back-from-the dead beings have insatiable appetites for junk food. And instead of going dormant waiting for their next feeding, they sleep for most of the day between meals. The message here seems to be that the zombie lifestyle has become so ingrained in society, we don’t even recognize it anymore. 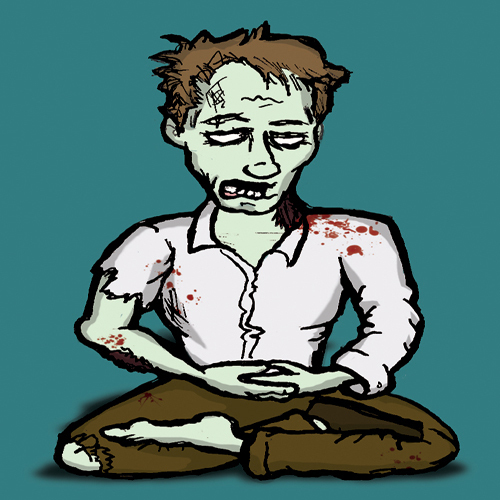 We, and nearly everyone we know, are the zombies, and we look nearly indistinguishable from those who’ve broken free of the zombie lifestyle. Just as those who focus solely on the spiritual run into their own issues of poverty, illness, and unhappiness, those who focus only on matters of materialism run into their own problems—monotony, drama, addictions, stress, insatiable appetites for carnal pleasures, and exhaustion. So, how do we do it? How can we break free from being enslaved zombies? It’s one thing to say simply be more spiritual, but for many, this is easier said than done. And those who already consider themselves spiritual can still get caught up in the repetitive grind of daily life leading to zombie-esque qualities. As mentioned above, just being spiritual doesn’t mean you’re above being egotistical. What we really need is to be able to free ourselves from ourselves—the self-made prisons which have held us from experiencing the wholly versions of who we are. Something that can be of great help is for us to connect to the energy that is prevalent this time of year. Spring is all about renewal. It gives us holidays like Passover and Easter which both offer the message of transcending. Passover is about transcending the slavery of life’s materialistic demands. It connects us to freedom from the shackles of life that can drag us down—whether that means an uninspiring job, loveless relationship, or continual stress. Easter is about transcending the constraints of life itself—the fear that comes from the knowledge of our own mortality. 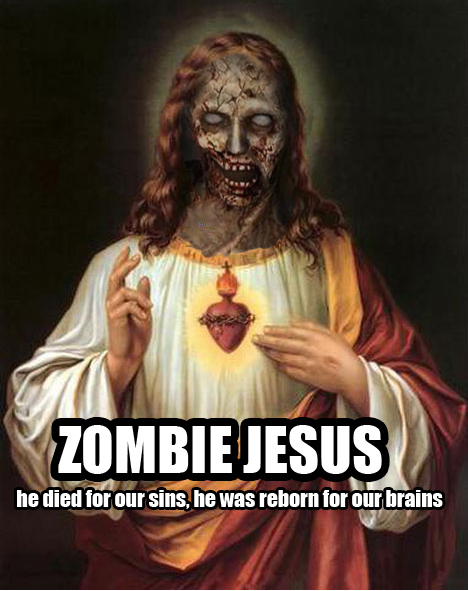 If you think about it, Jesus is the ultimate zombie. 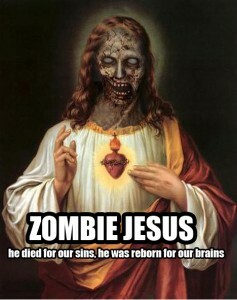 But instead of returning from the dead to eat brains, he came back to inspire minds and give hope. 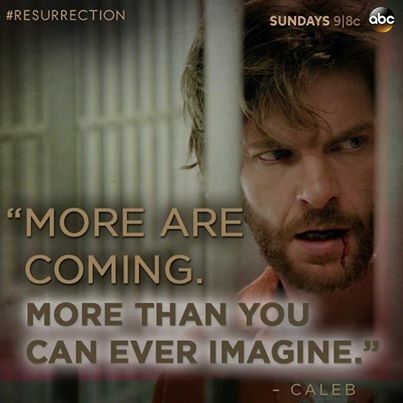 Hope that even us brain-dead zombies can transcend our mortal existence and connect to something more meaningful. Whether Jesus literally came back from the dead is secondary in my opinion to the message of the story—which is that it is possible to spiritualize everything, including our physical bodies. This can mean overcoming death itself, or, for the less enlightened among us, extending our lives by years or even decades. As Simon Jacobson noted, according to Genesis, Abraham lived to 175 years old. The kabbalastic explanation of his age is that Abraham aged very slowly because he spiritualized every moment. And by doing so, he connected to the eternal—and became eternal himself since millions of his descendents not only remember him but also much of his life and inspire to live by his principles. According to Jewish mysticism, the physical world of matter and space-time are elements of Divine energy that need to be elevated for the world to become enlightened. And to do this, you don’t need to be concerned about the state of the world, or wars, the economy, or politics. Since we are all connected and everything you see is a reflection of the world you are creating, all you need to be concerned about is you. Sure, you can join a Buddhist monastery and meditate all day long or become part of a convent and pray constantly. You could even break free from the rat race, move to the mountains and live a life of peace and meditation in nature. But in my opinion, none of those purely spiritual methods will be as effective at raising the sparks as bringing a spiritual perspective to your materialistic life. For me, that means diverting more energy to helping others uncover their destinies and less energy trying to search for proof that the world is illusionary. I already know it’s illusionary, and I’m also aware of much of its rules. The action then, is to apply them. To take a leap of faith, get out of my comfort zone, act in spite of fear, and sublimate my weaknesses into strengths, thereby freeing my inner superpower. Following these rules will help me to transcend any fears and frustrations that have been holding me back, and transform them into spiritual sparks that can help light the way for others. If anything I’ve written here resonates with you, perhaps it’s time you do the same. If you’ve been reading my posts, or at least this much of this one, chances are you already know all the spiritual principles you need to make a difference. Now, it’s time to embrace the material world and act. Of course, habits are hard to break. What’s easy is for the mind to step in and convince you that I’m not talking about you, or that maybe I am, but you don’t have the time or energy to make a difference. This relates to another story from the Bible that connects to this time of year. It’s the story of the Amalekites who attacked the Israelites from behind—killing the women and children—as they fled Egypt (materialism) towards the Promised Land (spirituality). In the Bible, God commands the Jews to utterly destroy the Amalekites, saying that the Lord will have war with Amalek from generation to generation. In Kabbalah, Amalek is really a coded word for “doubt.” The message is that we are to utterly wipe out doubt from our existence as it is what challenges the elevation of the spirit generation after generation. As our thoughts go, so do our lives, so whether we think we can or can’t do something, we’re usually right. So go ahead! Get inspired! Take action towards that thing you’ve always wanted to do! I believe you can do it! It’s what you’ve repeated in your declarations, what you’ve dedicated your yoga sessions to, what you’ve meditated on, prayed about, and posted on your vision board. Now, it’s time to transfer all that spiritual energy to the material world with action! Give yourself a soundtrack if you need it. Go for a run, clear out your junk, watch an empowering movie. But then, set a goal and works towards it. Stop asking what you are supposed to do and decide what you will do! It’s time that the universe does your bidding. You have been created in God’s likeness with God’s creative powers in order to do something God-like! You are here for a reason! Tell your negative mind to shut up—you’ve been listening to it for long enough. If it hasn’t gotten you to where you want to be it’s time to stop taking its advice. It doesn’t want you to change. But the world is changing and it needs someone like you to help guide it in the right direction. Begin by changing yourself, and then, watch the miracles occur all around you. No politician or hero or messiah is going to save us. The truth is, it’s up to you. Are you up for the challenge? Regardless of what you think, know that I believe in you. Now all you need to do is believe in yourself. 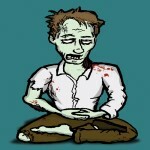 Meditating Zombie image is by the artist Bozarth and can be found here. Glad you liked it Emmanuel! Any inspiration I can give Motivatorman is especially valuable since you use that energy to then inspire others! Thank you Marc! Always enjoy your insights. I think when I first began my spirit journey and embraced it fully, I felt my physical being got lost quite a bit and it took a while to balance both, though I sometimes still feel a bit disconnected when I walk in my earth shoes and ignore my spirit but luckily it’s always there when I need it. This post reminds me of this need for balance. I think this is where we’re coming to now. Spirit and Material, science and soul, earth and the ethereal, are merging. We all have to get a bit uncomfortable with the part we’re not used to dealing with. But the merger will by incredibly synergistic. Thanks for posting! I had heard it said before that faith that isn’t tested isn’t true faith at all. That could be said about spirituality. If you isolate yourself and are only around the spiritual, how do you know if it’s real/the strength of it? Is someone who forsakes all material things really more spiritual than the person who can enjoy their possessions without those things dictating their happiness? There’s something to be said about a daily spiritual practice, be it meditation or “quiet time”, etc. Thank so for the reminder…it’s great to set daily intentions. I believe that even what think of as spiritual can be explained by science. And focusing your energy on something just helps attract that energy to us. Materialism is neither good nor evil, just a tool to express who we are. Thanks for sharing your insights! Thanks for the wonderful read, Marc. I loved what you said about singing and music. The language of the soul, indeed. I sing every Monday with a chorus of around 300 people. I look forward to it not just because of the brotherhood and music-making, but because when you sing with 300 other people, you really do begin to understand just what the soul is. We’re not just singing together, but also breathing together. Imagine if all of the world held a concert, singing the same piece of music in harmony, breathing together… Talk about a bridge between the material and spiritual! That would truly be all the inspiration one would need. That’s a beautiful image Paul! I’ll begin to focus on the world concert to help manifest it! What’s funny is that it’s actually a scene from my novel trilogy that this site is based on. So, maybe we’re getting closer since a lot of what’s in that book has come to pass! Thanks for sharing! Thank you and glad you found it insightful! What an inspiring message! I love this reminder to be grounded in the dual realms of spirituality and the physical world. As you suggest, from that dual foundation we are well posed to make concrete progress toward meaningful goals. This is so timely and inspiring. Thanks for posting! You’re welcome. And thanks for reading—and sharing Sarah! Thank you for a very interesting article. I have thought about & witnessed this dynamic (aware but broke, unhappy, etc.) for years. Your insights & observations are compelling & I hope that I may offer additional perspective. In regards to the physical well-being issue the majority of “spiritual” folk I know are highly sensitive people, HSPs. I am of this demographic as well. As we are living in a time in which, as Louis C.K. puts it, “everything is amazing & everyone is miserable”, we have had a watershed of creature comforts addressed. Hot or cold? Hit the thermostat. How many of us still have to start a fire to get things bearable upon arising? Hungry? Sit in your air-conditioned, ergonomically accommodating, quiet automobile (no horse & buggy to hitch to go to town) & squirm while you have to wait (!!!) for a person to hand you a bag of hot food with health department laws in place to keep you from dying after smushing it in your mouth, which has just had dental implants to make you prettier & sustenance easier to process/enjoy. Think about ALL of the little things we take for granted, clothes, music we like, entertainment, it goes on. Since so many aspects of our survival are covered, it allows us the opportunity to process our feelings physically & emotionally. Energy follows thought. We’ve become so tuned in to our own barometer of contentment & then bombarded by media driven advertising, the result has made many rich & most of us addicted to filling the inner hole, while whiffing the greener grass. Add to this the “pursuit of happiness” & compound the glob of “The American Dream”. It’s overwhelming. The spiritual folks I run into have also been tainted with the “if I can visualize it, the Universe will provide” syndrome. Rabbi Rami Shapiro wrote an eye opening article in Spirituality & Health magazine explaining how he is not a proponent of “The Secret”. Many of the New Agey set are “flight to the light”ers as well, defaulting to putting their head in a light purple cloud, shutting down when things get a little too real. I am not immune to all of the above, again these are just observations based on experiences. One of the deepest realizations that came from within me is that deeply imbedded in my psyche is a “the meek shall inherit the earth” investment, some cosmic law of physics that I somehow assimilated I know not how as I was raised agnostic & non-religious. The joke that the meek shall inherit the earth after the assholes have used it all up is glaring apparent. Finding a balance between the inner & the outer is an ongoing dilemma. It’s LIFE. We live in a three dimensional, material environment that requires an focused expulsion of energy & resources to exist & thrive. For many of us Woo Woo types, there is an element of spiritual materialism combined with spiritual narcissism which needs to be addressed. And that requires even more work, yay. I wish I were an non-feeling automaton that was career oriented & aggressively ambitious. Maybe the last life,…? I agree that ultimately it is about how you are giving YOUR gift to the world. Thanks for your added insights Jules. I agree that we take much of our world’s conveniences for granted and I think that feeling a sense of gratefulness is the elixir that could cure many of the ills you wrote about. If we could just appreciate what we have in our heart and fill out mind with our goals, that would send us in a much more positive direction than hating where we are and continually worrying about what we don’t want. To me, the world that the meek inherits isn’t one that has been used up by the material types, but a world where we don’t need material comforts for pleasure. In this world, the meek are perhaps already living and they are already comfortable there. Maybe they inherit it because everyone will eventually become more like them. And perhaps that’s a good thing as the meek may be more likely to be grateful for what they have, know that we are all connected, believe in a higher purpose, and share with others less fortunate without ego. My goal is to live in a world where we all feel productive working towards our dreams and those dreams help others reach their own dreams. Hay Marc. This helped a lot, your words. You touched my heart!I”m in Zagreb, Croatia trying to balance a job in my new law office and having a baby. For a while I”ve thought that a should run for the hills. But after reading this words and seeing you with your sweet baby in your arms gives me different perspective. I will except material word and try not to see it as an enemy to my spirituality.I will work in my office to make money and to help people get their money and rights. I will take heparin injections while pregnant to cure my condition but then i will help my body to recover with organic foods and products. My English is a little rusty but I wanted to tell you how I feel after reading your article. Thank you very much for your words. Namaste. Glad it was able to help Jasminka! I believe that we are all challenged by a bit more than we are comfortable, but never more than what we are capable. I have actually been blessed with TWO babies–twins–which is more than I thought I was comfortable or capable of handling but the universe begged to differ and I am still here…exhausted, undernourished, and stressed, perhaps, but still here. And stronger than the version of myself that was too afraid to have kids. Kudos to you for seeing the blessings in your own life! Yes, there is much good you can do with your career and your new kid (CONGRATULATIONS!!!!) And know that it’s okay to ask for help. We too do what we can with organic foods and a healthy environment, but it is not always possible, especially where we live in Harlem, NYC. Whatever challenges you face, remember that God, the universe, the light, whatever you believe (or don’t believe) in is giving you those challenges because you are capable of overcoming them. And growth from our fears is one of the most fulfilling feelings there is. I wish you blessings, love, light, and luck with your new baby and balancing it all with your life and career. You’ll do great! Attitude is 99% of it. Thank you for your replay! Live well and prosper. regarding here. Again, awesome web site! Thank you VBB. I’m not looking for guest writers at this time. However, if you add a link of this site to yours, I’ll be happy to do the same for yours (your link doesn’t work BTW). Also feel free to elaborate as long as you want in the comments. I have recently discovered your posts and really love them. I am some how confused though.If this is a simulation (and i believe it is) then everything is already written right? Then do we or don’t we create our own reality with our thoughts and energy? Please give a clarification on that if you can . Thanks and keep up with postings! A videogame code is already written. But you can play it many times and the character can have a different experience each time. Same thing here. It’s like a Choose Your Own Adventure book. The book is already written, but you chose to carve your path through it. Thanks for the comment! Son of a gun, this is so hepfull! Murray Newlands pointed out on Future of Engagement a week or so ago that actually takes away from their message because they have such strong brand recognition and built in demand for what they sell. Small businesses really need to be aware that most online advice was tested ONLY for big brands and may or may not apply to them! Testing IS essential if you depend on your business income.